Digital scrapbooking is not all that different from its physical counterpart. You take the time to carefully arrange your images among digital elements very similar to the traditional embellishments you can buy in craft stores. However, with the advent of more and more people using digital cameras, scanners and the Internet, digital scrapbooking makes this hobby cheaper, easier to share, and more widely available to those who may have shied away from traditional scrapbooking. Getting started with digital scrapbooking is fairly easy. All you really need to begin are some digital photographs (easily obtained via digital scanner or camera, or by having friends and relatives share them with you over email) and a digital photo editing program, such as Adobe Photoshop, Paintshop Pro, or GIMP. After that, it's a bit of trial and error, all made easier by following our helpful guides that are sure to get you scrapping like a professional in no time! Digital scrapbooking is taking off like a wildfire, just as scrapbooking did a few years ago. Not only is digital scrapbooking cheap, it's fun, and it's a great way to share your creativity with friends and family. If you've never heard of digital scrapbooking, or you're only just starting to learn about it, this is the place you need to start. Here you'll learn what digital scrapbooking is, how it stands up to its traditional counterpart, and plenty of tips on how to get started. You'll also learn what options you have for saving, printing, and sharing this digital memorabilia. One of the fantastic things about digital scrapbooking is that there are hundreds of sites to help you get started. And in addition to fantastic sites that offer up everything from pre-made layouts for quick scrapping to individual elements for the professionals, now there is a ton of software that promises to make digital scrapbooking faster and even more fun than before. Check out these guides below to find out our favorite software and sites to find exactly what you need and get scrapbooking today. One of the most fun things about scrapbooking is also one of the most frustrating: coming up with the perfect layout. Trying to figure out exactly what you want in a layout can be a bit tricky, especially if you're new to the craft. If you're having a hard time coming up with anything on your own, these guides are sure to help you. You'll find fantastic tips and ideas for creating layouts, and even how you can design some of your own digital scrapbooking elements to help save you money and get your creative juices flowing. 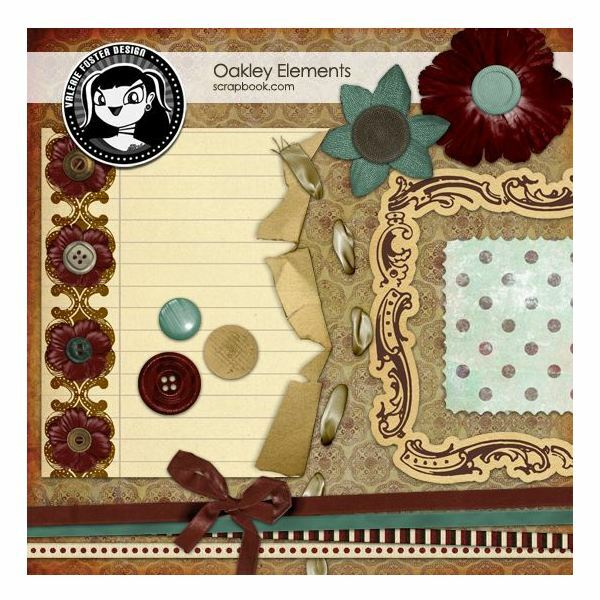 Scrapbooking paper and textures are one of the most crucial elements of digital scrapbook design. After all, the perfect paper can help make your pictures pop and tie a perfect theme together. However, you might not always feel like designing your own backgrounds, or you might have something specific in mind that you may have trouble recreating. Check out these collections of digital paper, as they're sure to have your projects looking great in no time flat. Digital scrapbooking, much like its counterpart, relies heavily on little embellishments that digital scrapbookers refer to as "elements." These can be anything from buttons, ribbons, and badges to photo frames, borders, and more. Sometimes you have a theme you want to design, but there are some embellishments missing. Or maybe, sometimes you're not exactly sure what you're looking for until you find it. Either way, these miscellaneous scrapbooking elements are sure to help accent your pictures, giving your theme energy and playfulness – something any scrapper would want! Sometimes you might have a little trouble coming up with an idea, or you might find yourself a bit pinched for time, so designing a layout becomes tricky, if not impossible This is where pre-made layouts come to the rescue. All you have to do is pop in your pictures and you've got a professional design in minutes. Check out our favorite pre-made layouts and templates, as well as some tips for creating your own themed layouts.